Contain Aluminium chloride which intensifies centimonium bromide. 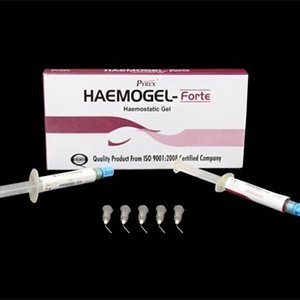 Used as a haemostatic in case of capillary bleeding, for gum retraction when making imprints. Treating Cervical Caries for prophylaxis purpose and for treating root canal in case of apical bleeding . Materials are not toxic and can be easily used. The material do not featuer irritation and can easily washed off.